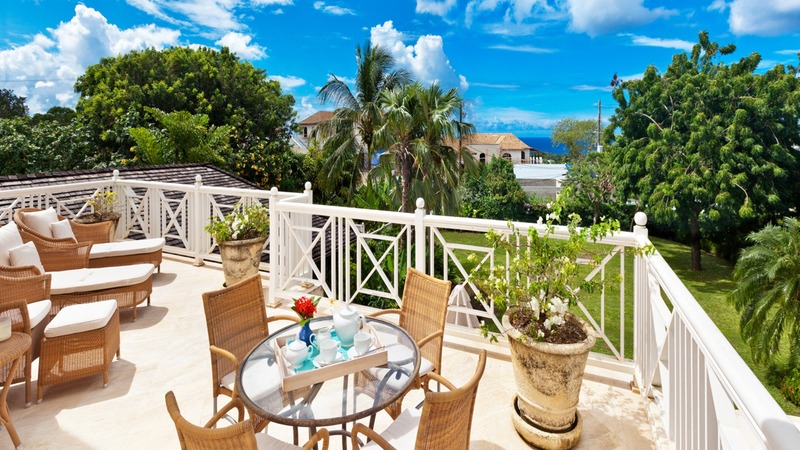 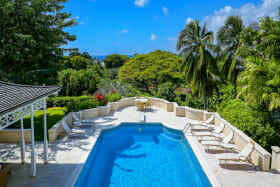 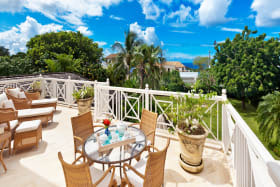 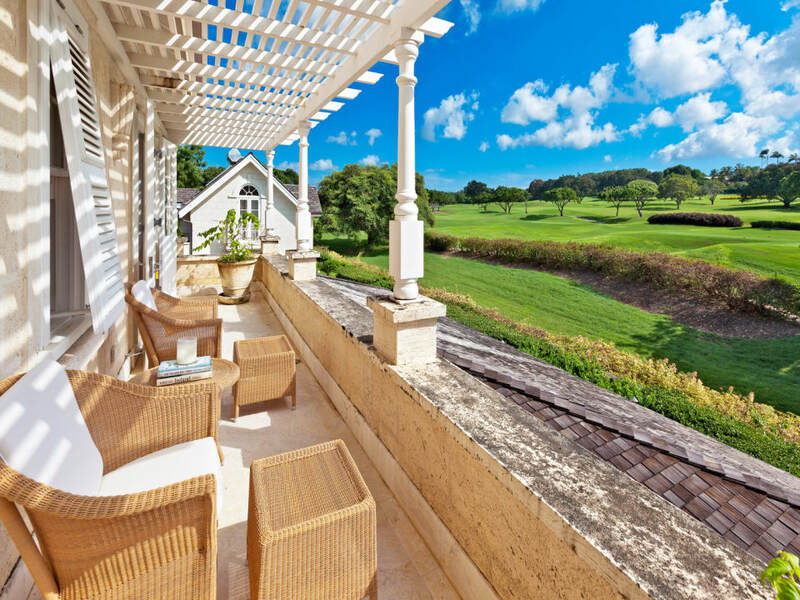 Hamble House has a unique location within the prestigious Sandy Lane Estate in St. James as the property's eastern boundary adjoins the fabulous Sandy Lane Country Club Golf course providing sweeping views of the golf course and greens. 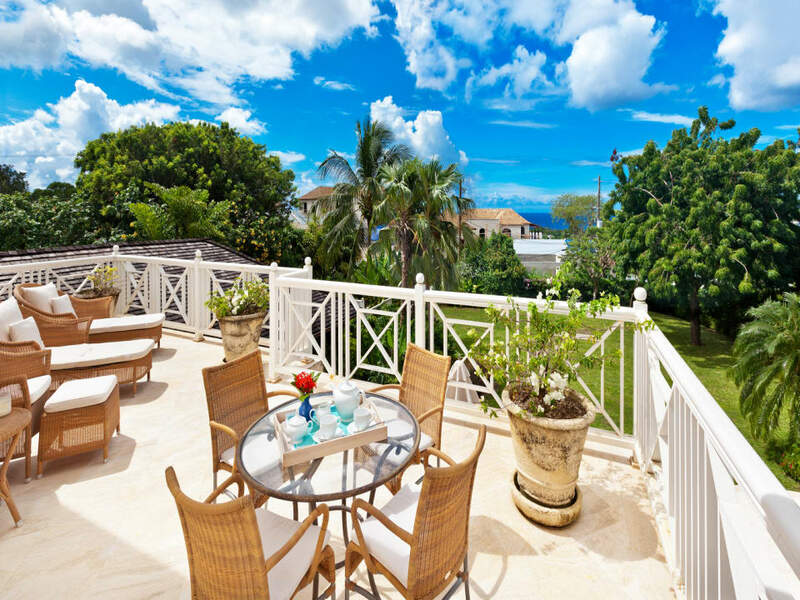 Being one of the most elevated houses in Sandy Lane, it benefits from a constant unobstructed easterly breeze which ensures that the house is always cool. 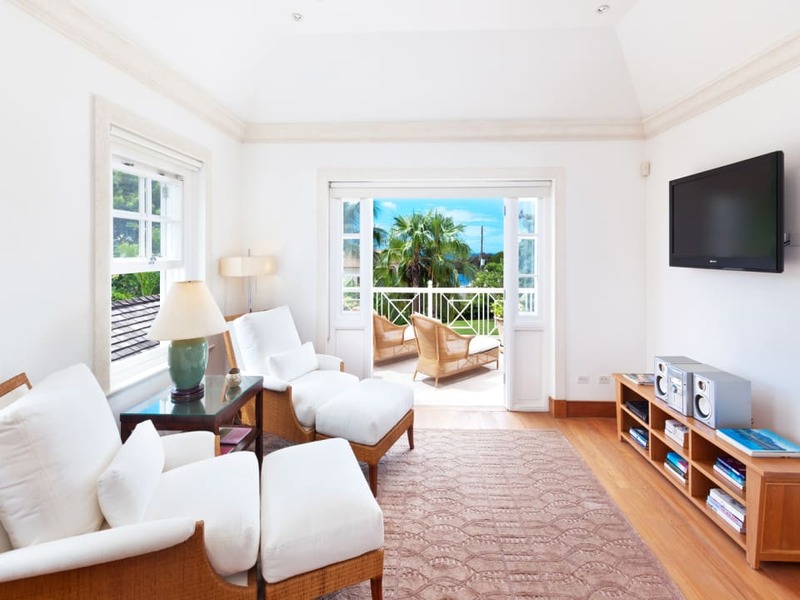 There are also good sea views on the west side of the property and particularly from the Master Bedroom Sunset Terrace upstairs. 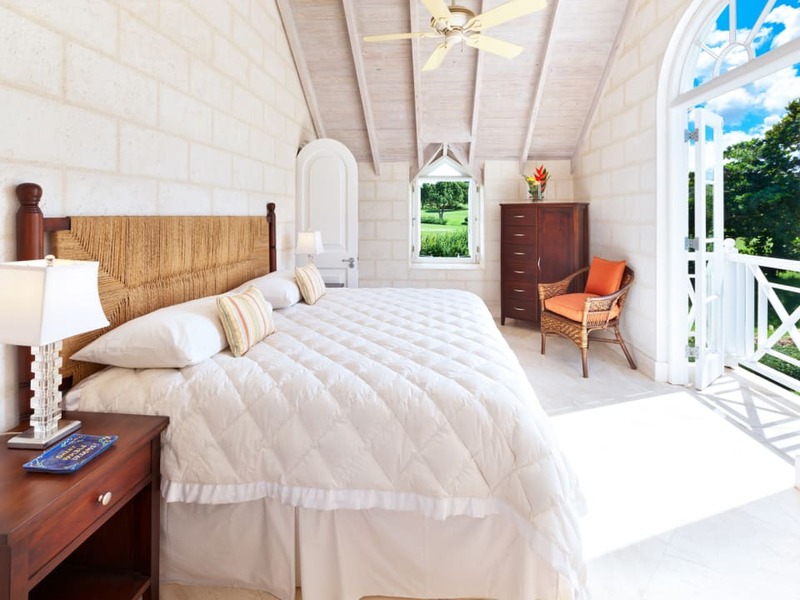 Offering six bedrooms in all, four in the main house as well as a two bedroom attached Cottage, the property is in excellent condition and very well maintained. 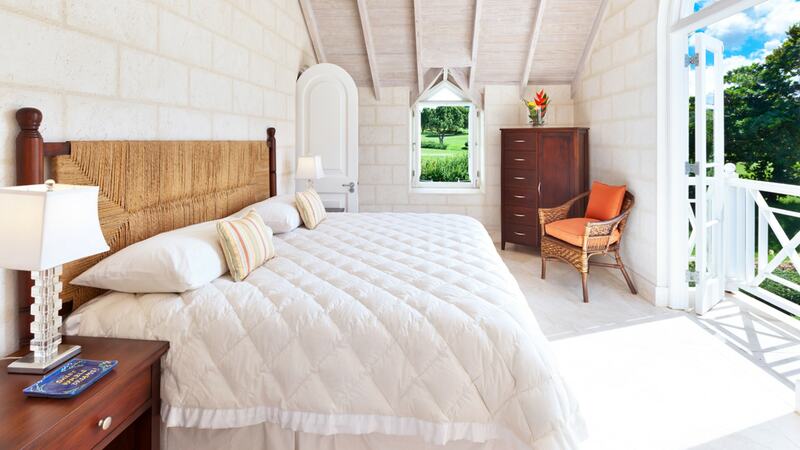 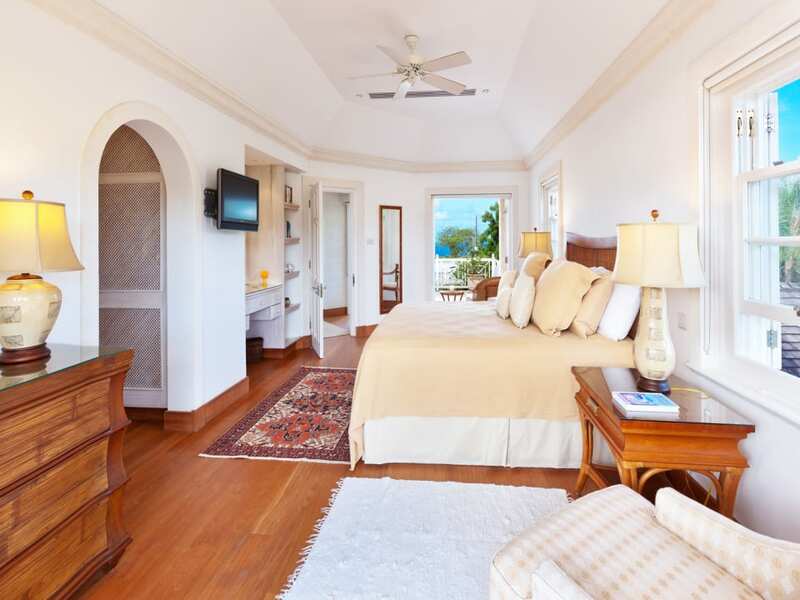 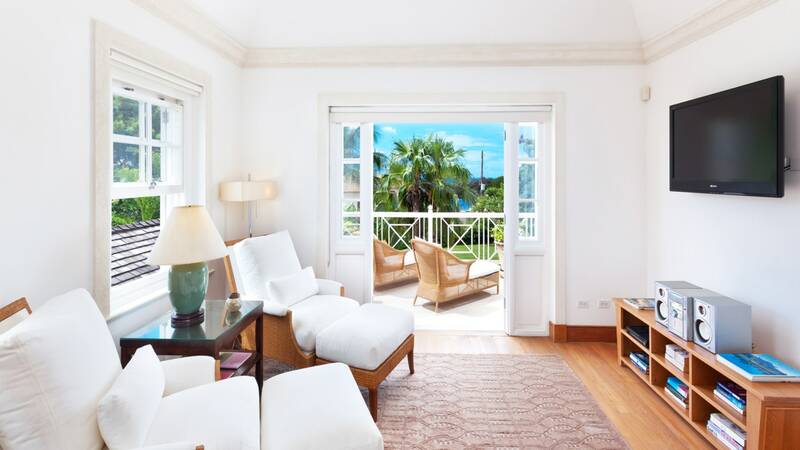 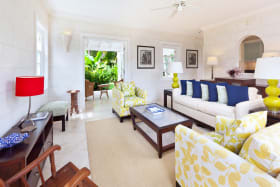 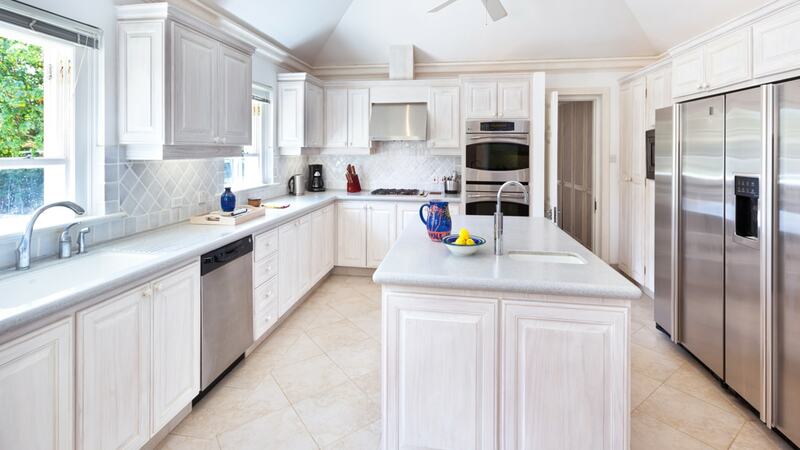 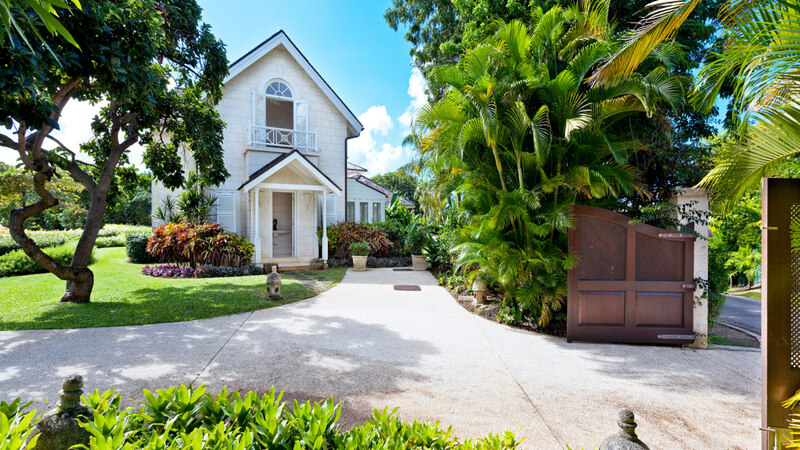 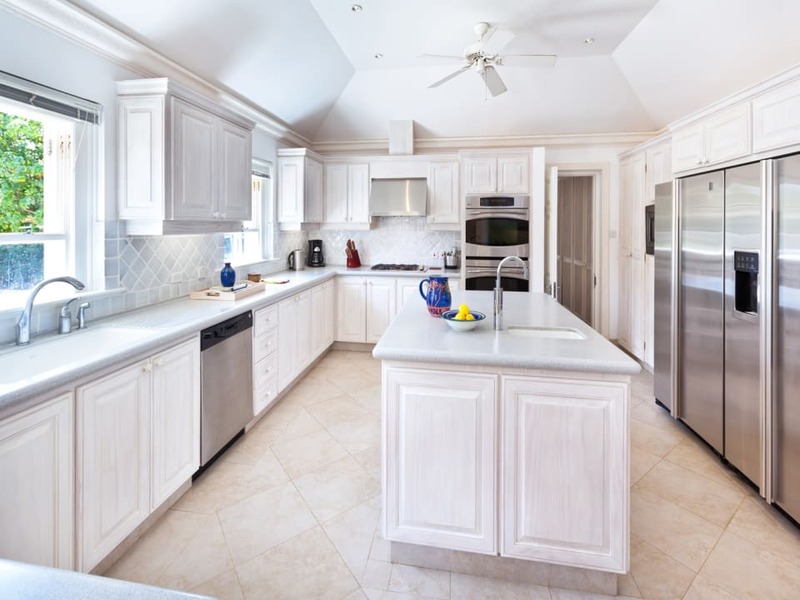 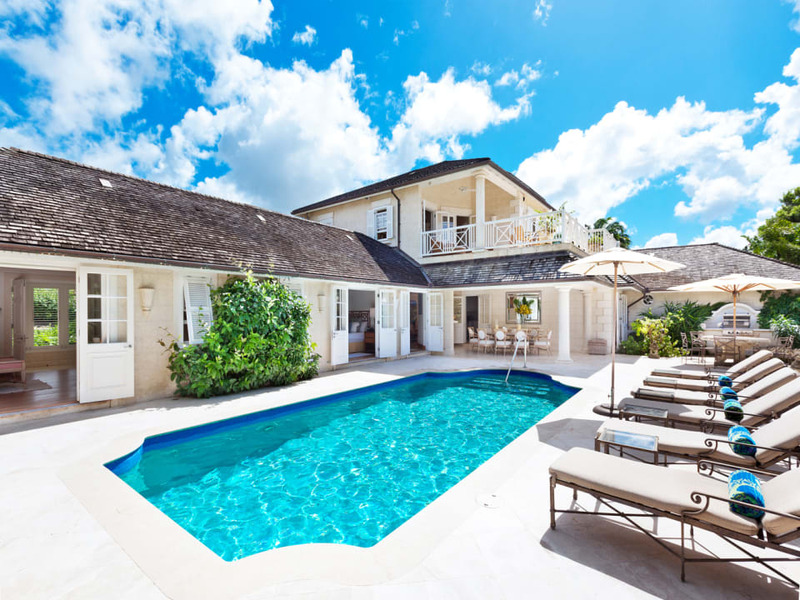 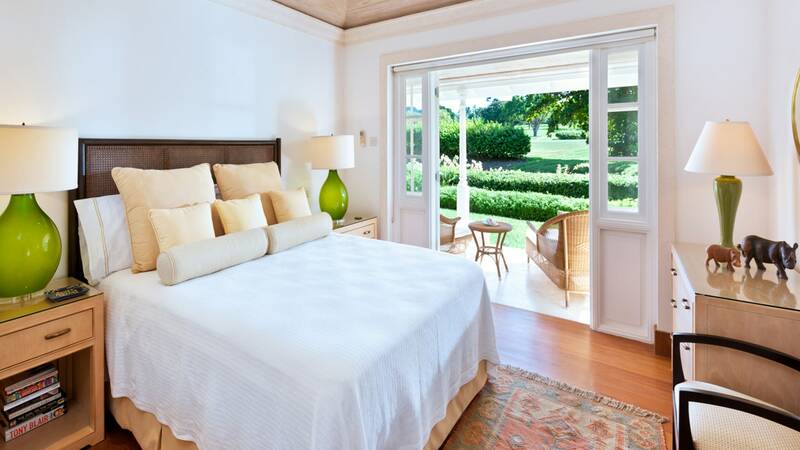 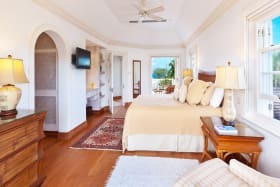 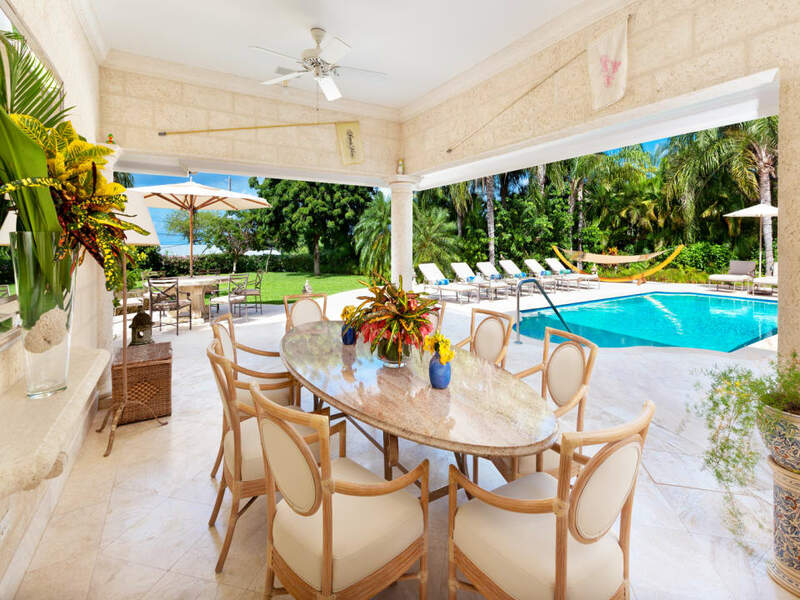 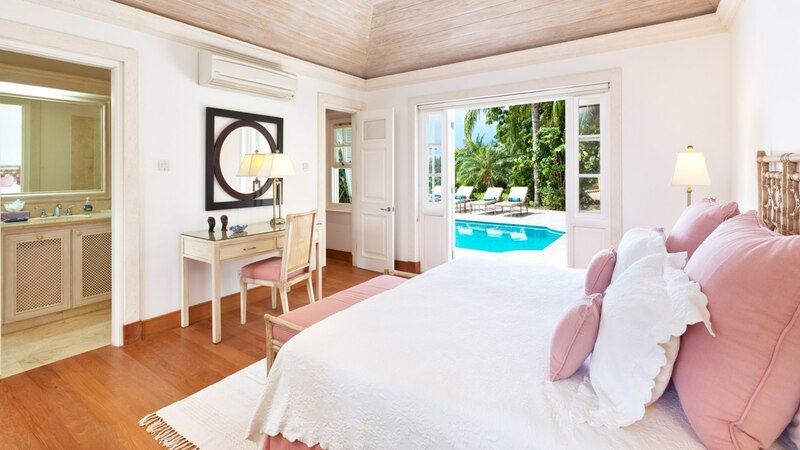 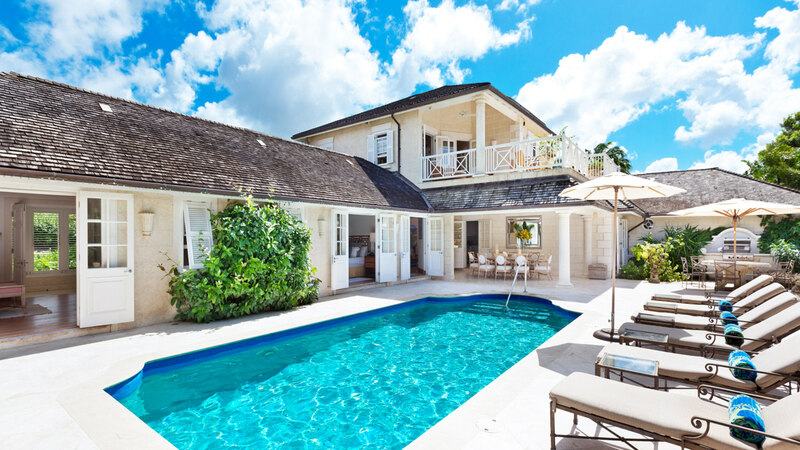 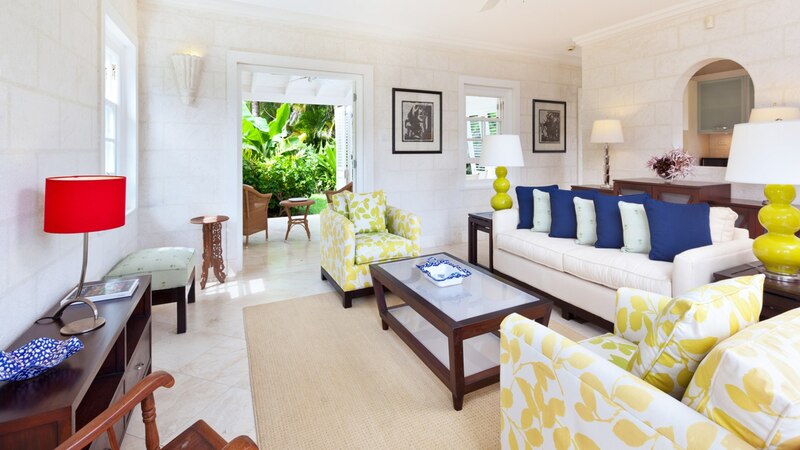 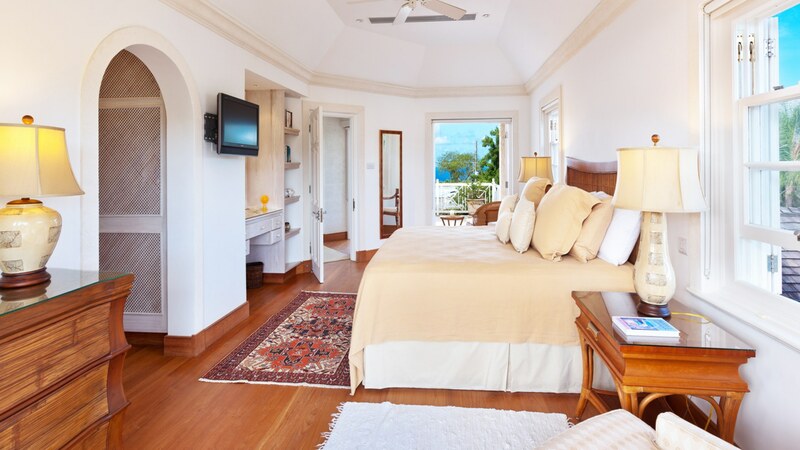 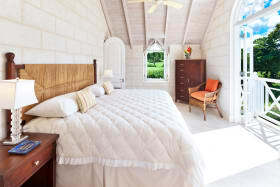 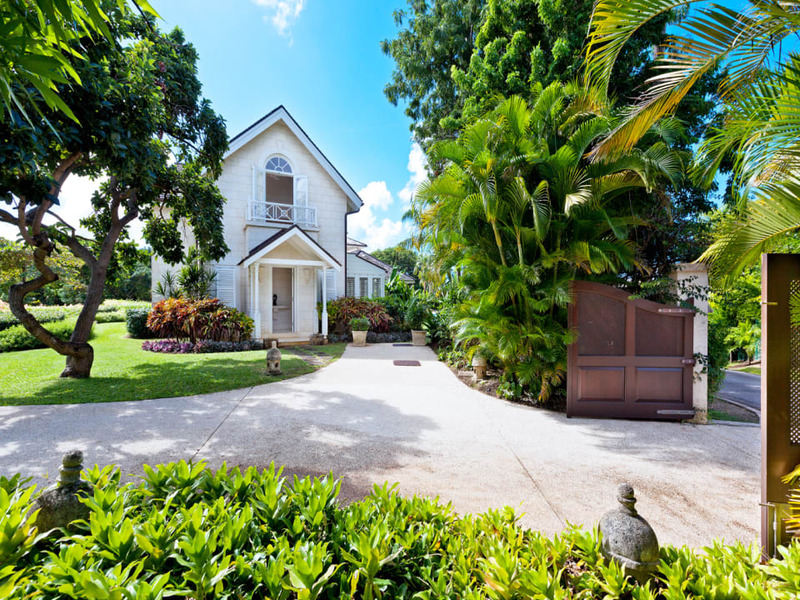 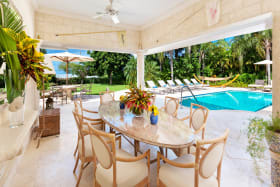 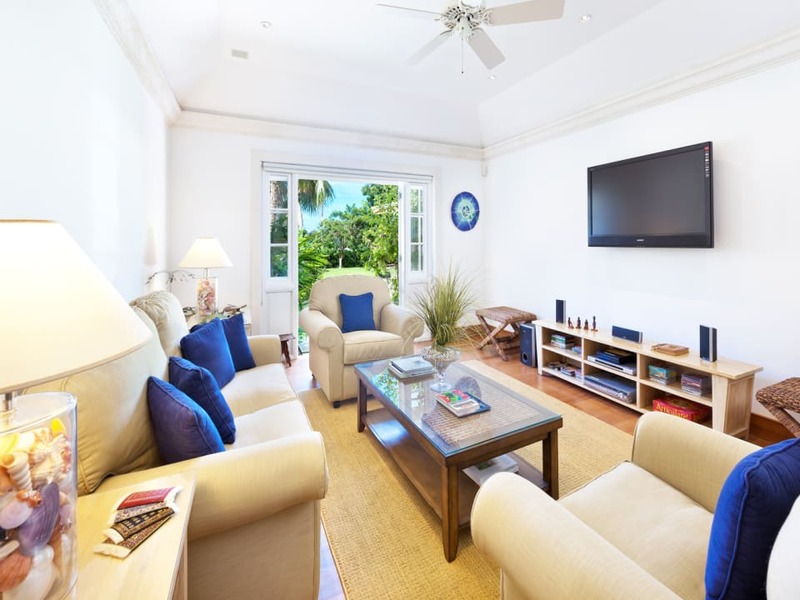 The home was completely renovated in 2007 by Larry Warren, the renowned Barbados architect, with great attention to detail and finishes that feature pickled pine ceilings and a combination of stone, marble and wooden floors. 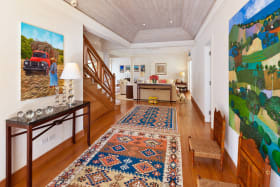 Hamble House has two private driveways to the property, the main entrance leads to ample parking and the secondary entrance provides direct access to Hamble Cottage from Simmons Road. 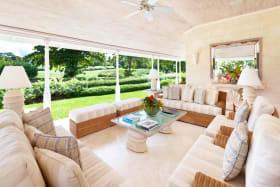 The Main House entrance leads to an indoor Lounge that opens on the east to the wonderful covered Golf Terrace with views of the 12th, 13th and 14th fairways of the Country Club. 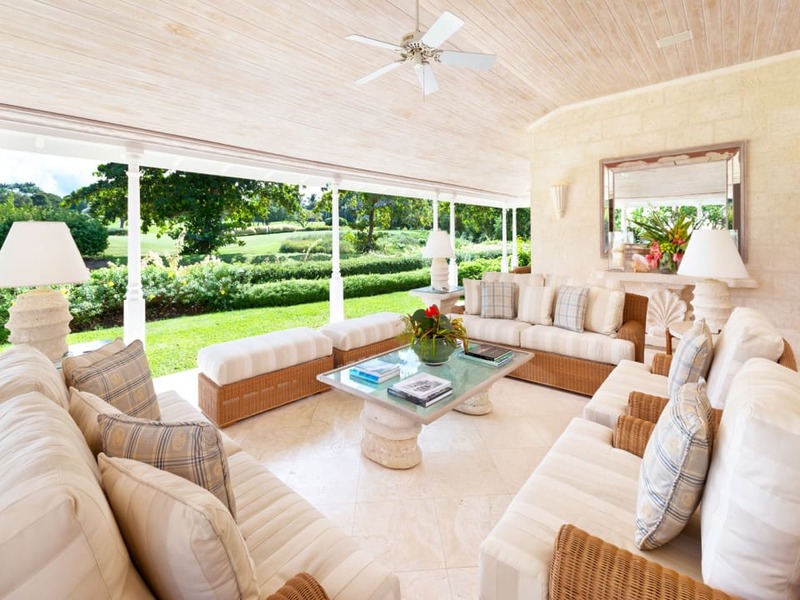 To the west the Lounge leads to the covered Dining Terrace and inviting swimming pool and garden. 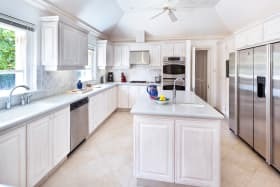 Also on this level you will find the air-conditioned Media Room, the spacious and well equipped Kitchen, staff rooms, store rooms and garage. 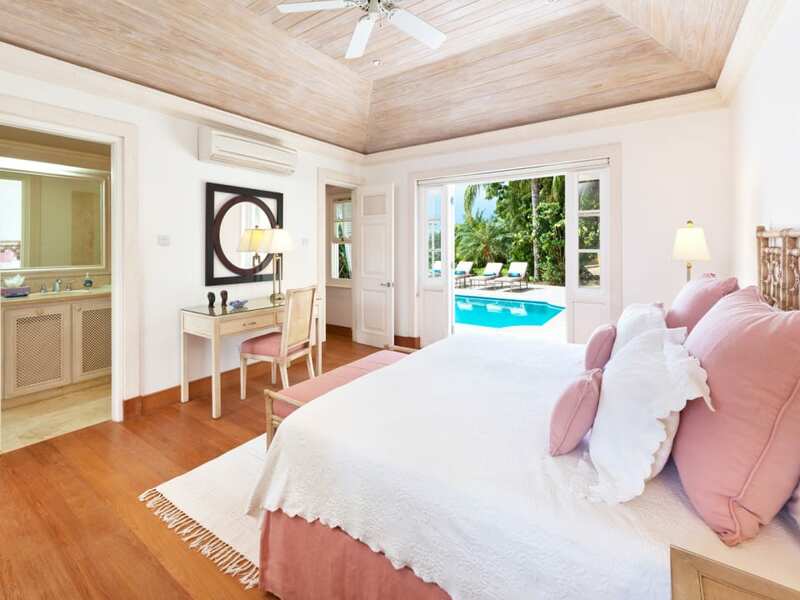 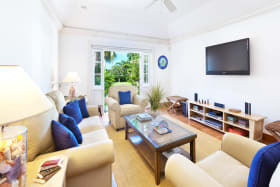 The Master Bedroom occupies the entire first floor and includes a Study leading to the Sunset Terrace on the west as well as the Golf Terrace on the east. 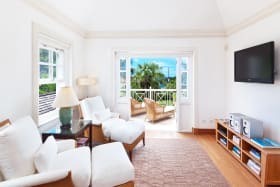 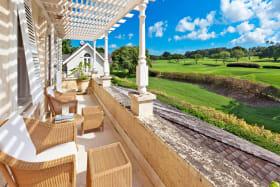 There are three en suite Guest bedrooms on the ground floor and all open to terraces, either to the swimming pool terrace or the well landscaped gardens. 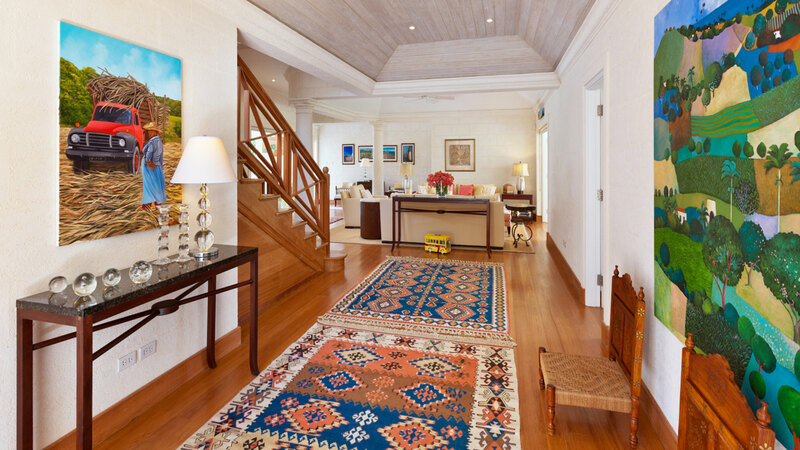 A beautiful Breezway leads from the main house bedroom wing to the fully self contained Hamble Cottage. 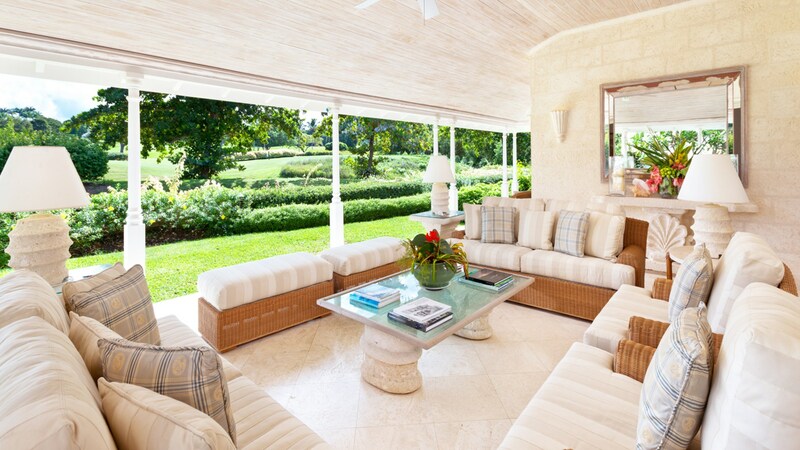 Entering to the Conservatory dining area which opens up to a small private garden. 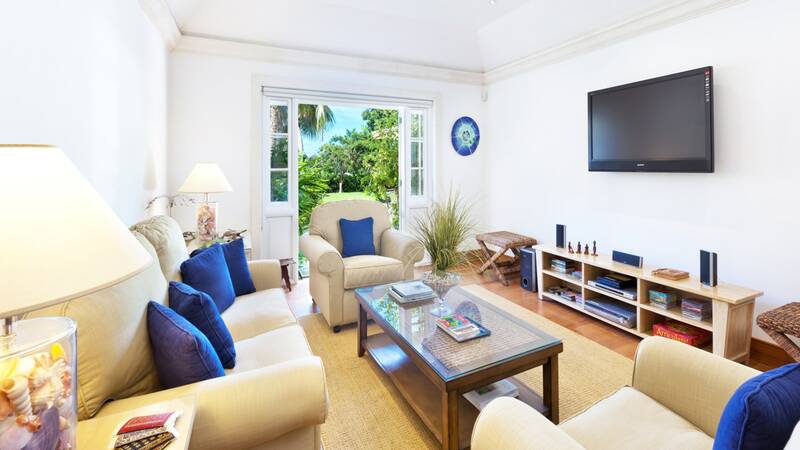 Off the Conservatory is an open plan Living Room and a fully fitted galley Kitchen. 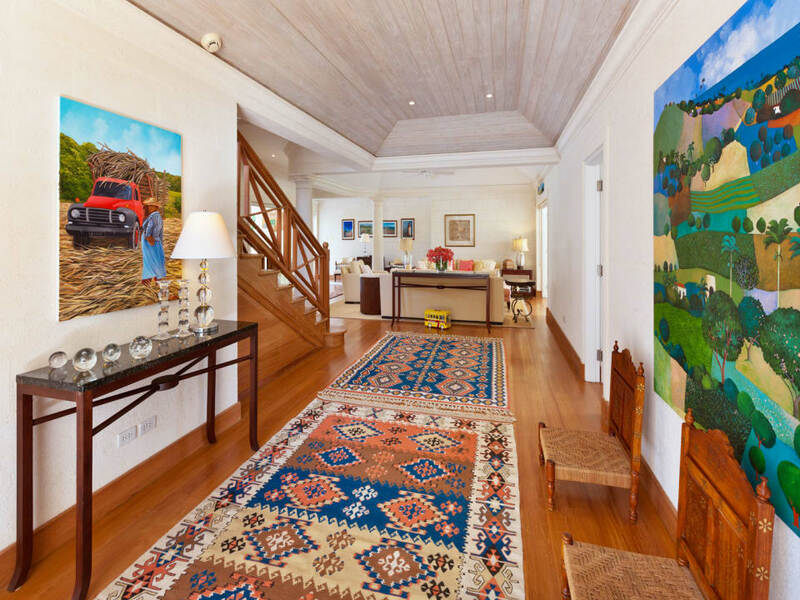 A spiral stairway leads up to two bedrooms and one bathroom upstairs. 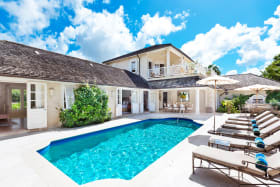 Residents of Hamble House enjoy the use of the private beach facility at Sandy Lane Beach alongside Sandy Lane Hotel where there are changing rooms, beach chair service as well as a cafe and bar. 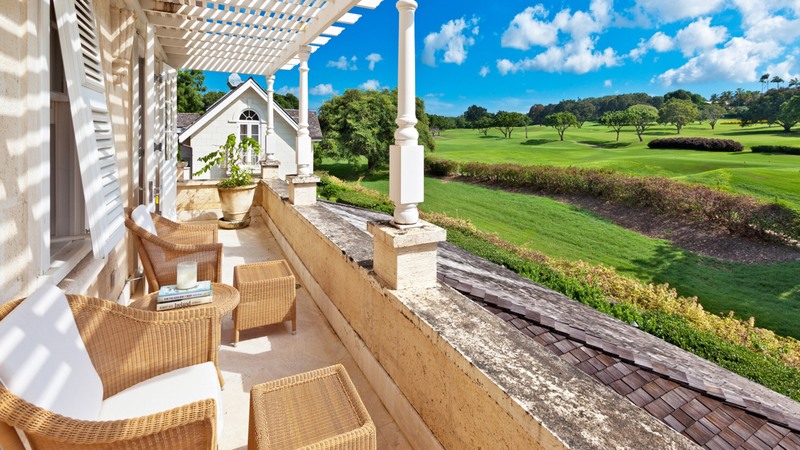 There are also flood lit tennis courts that Sandy Lane home owners may use as well as the Sandy Lane Golf Club which has three courses – the Old Nine, the 18 hole Country Club and the Green Monkey.